Organizers of Samford University’s Old Howard 100 bike ride presented a check for $6,420 to Sowing Seeds of Hope, the nonprofit organization dedicated to improving the equality of living and working in Perry County, Ala. Those proceeds from the 2014 ride bring the total contributions of the ten-year program to $36,873. 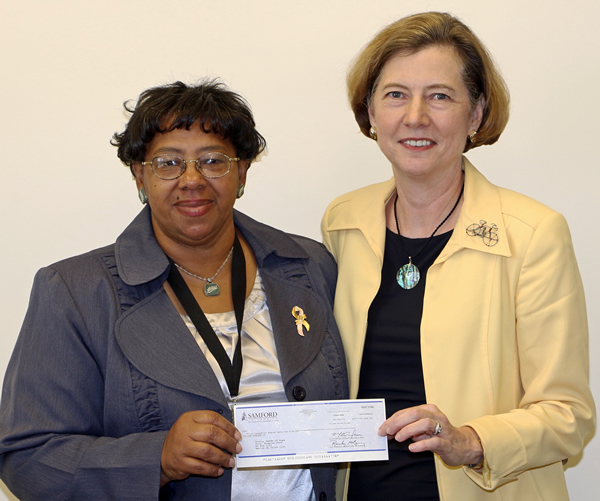 Sowing Seeds of Hope executive director Frances Ford accepted the check on behalf of her organization. Fisk also announced that registration for the 2015 Old Howard 100 (April 18) is now open.